As the low clouds start to lift at least a bit, Koala finds himself lined up for tickets to the Second annual Salinas Valley Food and Wine Festival. Attending without Kiwi because with so much happening this time of year he was in Paso Robles covering Harvest Festival activities. Ticket prices at the door were $50 for a general admission and $85 for a ViP ticket (lesson here, pre-purchase). A bit pricey given last years experience but maybe it will be worth it.Once the VIP situation was squared away Koala went to work. Last year was a bit like a large swap meet with wineries scattered amongst the downtown businesses and the VIP area was in the old Fox Theater. Now while the Fox is a neat facility with a unique atmosphere it was not set up for, nor were there enough quality vendors for a VIP experience (pretty disappointing). This year some of the same was repeated with the craft fair swap meet style atmosphere in downtown. However, the VIP area was now in the Steinbeck Center. This, and the fact that there were more quality vendors, made for a much more positive experience that made a big difference. Last year we all drank out of plastic wine goblets (not good). This year they were glass (much better), but, while on the subject of glassware, disappointed in the thick glass and thick rolled lip wine glass. Understanding the need for something child safe and durable for those out in the streets is one thing but for VIPs in a closed off area something more appropriate is definitely in order. Fine wine and a VIP experience is entitled to fine glassware! The VIP vendors consisted of good food, good wines and a collection of Tequila, Vodka and Whiskey purveyors. There was some great art work and some very nicely played live background music. The cooking demonstration was interesting and the smell of bacon was alluring. The presentation of the Gold and Silver Medal award winning wines was reasonably well done and the Q and A quite entertaining and even enlightening for some in the crowd. While Koala was flat out like a lizard drinking, tasting the VIP area wines and he was surprised to find that most of the VIP wineries did not submit their wines because of additional expenses required to do so. Unfortunate. 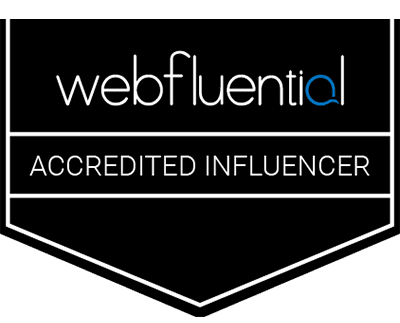 There was a definite step up and most things are headed in the right direction, but VIP should mean just that and in a number of ways other than pricing it did not represent that particularly when compared to other wine events. Overall a good step forward for this second annual event and the Charities they support. Show up next year and tell em Kiwi and Koala sent you and order your tickets early. 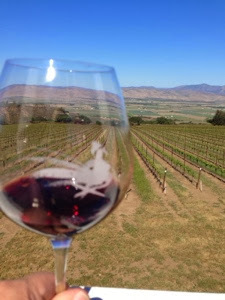 On a recent excursion to the Paso Robles area we decided to eat and not just drink. We know, what a concept! Just when we were getting good at something. Next decision, where to go? As fate would have it and after doing a quick survey of some locals we followed their advice and headed to Artisan Restaurant. Easy to get to located close to down town in Paso Robles at 1401 Park Street, Paso Robles, California 93446. We walked there from the Paso Robles Inn in five minutes. There was a group of six of us so Kiwi and Koala were incognito and able to experience the service and food just like average blokes off the street and not the celeb’s we think our significant others should treat us as. You can thank us later for making the sacrifice so that you may know what to experience. If we did not make this personal sacrifice we would be treated special (don’t emphasize the word). We were warmly greeted and taken to our table for six. The restaurant is sleek and euro contemporary, which can be a bit stark sometimes, but at Artisan they have managed to make it feel hip slick and welcoming all at once. With mostly hard surfaces it has a lively atmosphere and the background music selection was stellar! The wait staff was on the spot to take care of us and get us started. We had brought along a couple bottles special for the evening and one was quickly opened (they have a very good wine list also). Food was ordered and came in a short amount of time and was well presented. There was a variety of entrees ordered and all were good and better. A definite foodie restaurant that has enough on the menu for the picky non adventurist as well. Of the six meals consumed the final tally on our Artisan experience was; four “Recommends” and two “Would Go Back”! So given that average Artisan gets a “Recommend” from Kiwi and Koala! Go check em out and tell em Kiwi and Koala sent you! This week’s WW is a little more exceptional than usual. Found at San Antonio Winery in Paso Robles one afternoon while working hard. 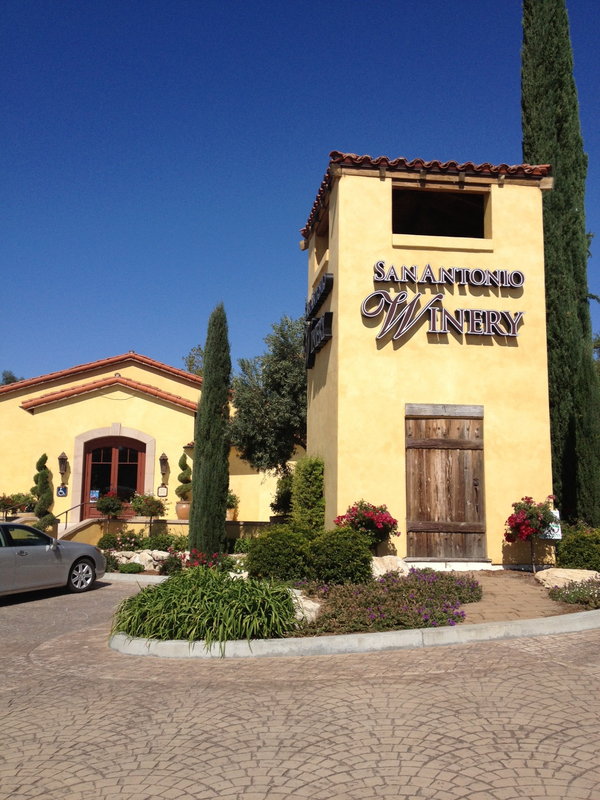 Located right off Hwy 46 in Paso Robles at 2610 Buena Vista Drive. While tasting a selection of wines just looking sfor ome good drinking everyday wine for at home, Koala came across a few that were very worthy but this one stood out. While quite light it is a very easy to drink wine with some red fruit showing. The thing that really got Koala’s attention is that he could buy 4 bottles and still keep it under the **** star rating. 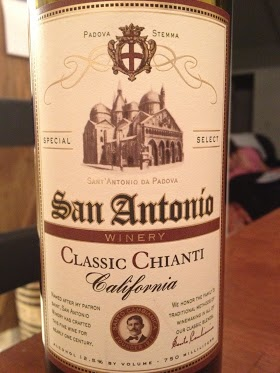 While not a wine to take to special dinners it is a good drinking wine at an amazing price and is a 5 and ****. Go by and have a taste at San Antonio in one of their tasting rooms, they have something for everyone and some wine at great price points. 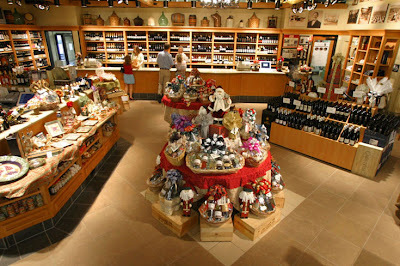 They also have wine from California, France, Italy, Portugal, Spain, South Africa, Switzerland, New Zealand, Germany, Australia, and many more. 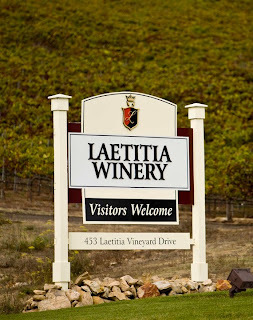 What would any normal person do driving down the highway and seeing the Laetitia Vineyard and Winery Tasting Room sign? Pull in of course! That’s exactly what we did. Ok, we were planning on doing it but enjoyed the pretense of spontaneity by threatening the use of the handbrake for a show of entry flair (a signature move). After the 'being responsible' lecture it was into the tasting room. Walking up to the tasting room from the parking area, you could hear the band playing, the birds were singing and some were even dancing. There was a good crowd enjoying the beautiful Californian afternoon, with snacks and wine with the music. The outdoor area was being put to full use and all who were there were having a great time. Entering the quite full tasting room it was apparent that this was a very popular place and thoughts went to worrying about getting decent service. There was no need to worry as Hassan was ready willing and able to provide a great tasting experience. For a small fee which is credited with a purchase you get the choice of five wines. Easier said than done as there are a number more than five great choices to choose from. We took the easy route and put the pressure on Hassan to lead us through the tasting. This often leads to being poured the servers favorites. Not this time as Hassan asked a series of questions to ascertain taste preferences and then talked through each tasting to select the next one. A very enjoyable tasting and even though busy we never felt neglected or forgotten. The bottle of choice was a hard decision as there were a number that were worthy but the final choice was The Whole Cluster Pinot Noir. 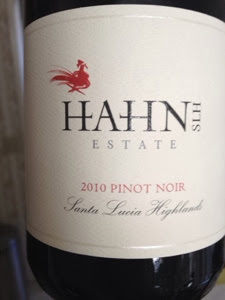 An excellent example of what a great Pinot Noir with deep color, great aromas, nice balance of fruit and acidity and giving a wonderful finish can be. The inclusion of 45% whole clusters give this wine more depth than is typical, and is a noteworthy shift from your average Pinot Noir. This wine rates it a 7 and ***. 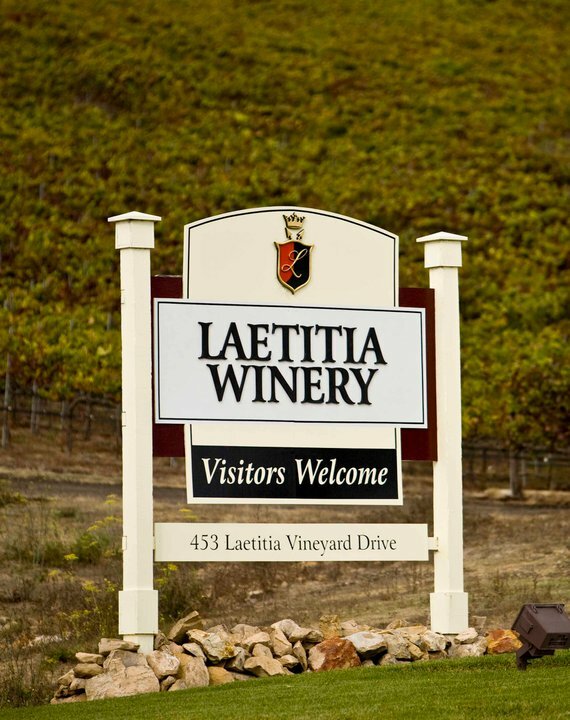 Laetitia Vineyard & Winery can be found directly off the 101 freeway between San Luis Obispo and Santa Maria and we 'recommend' you stop by if you are in the area. 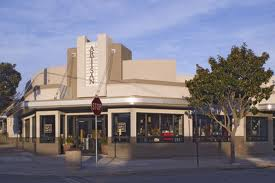 Arroyo Grande, CA 93420 and closed Christmas Day. While on a business trip to the Sacramento area, Koala decided to take a small detour and do a little tasting in the Lodi area. Being short on time he decided to tweet of the adventure and see what happened. A couple of suggestions came in and one of those was Cycles Gladiator. Koala looked up the address and off he went. The location was easy to find and conveniently close to the highway. Driving through the double wide chain link gates Koala saw the cute little tasting room near the back of the lot along side of the production area. With a nice sitting area out front on the deck, it is immediately welcoming. 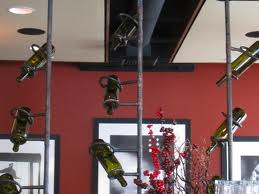 Once inside the tasting room, it’s up to the bar for a series of very drinkable wines. 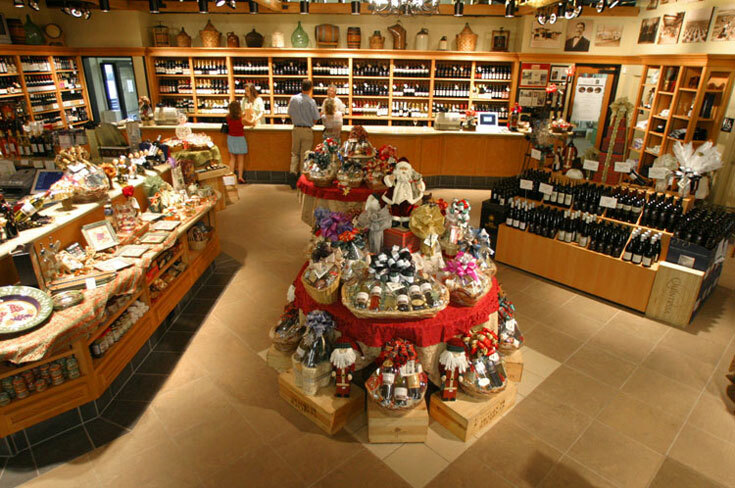 The facility has been recently remodeled and is a great place to taste good wine and browse their selection of cycling related apparel and gifts. You can also enjoy a picnic in their large picnic area that has two bocce courts for your entertainment. 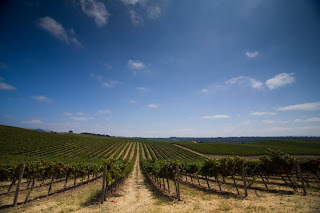 It's a nice spot for a romantic date day or for a larger group to enjoy a gorgeous day in the Lodi Wine Country. There were a couple of wines that Koala wanted but stuck to the one bottle rule and chose the Boneshaker. This is a good example of a full bodied Zin with great aromas and big fruit but does have a nice balance of aroma, fruit and finnish. Koala’s score a solid 6 and****. 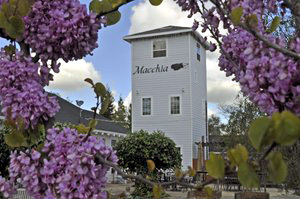 A very nice tasting experience and if you are in the Lodi area one you should go check out. 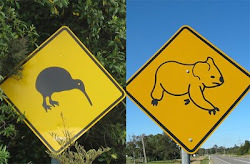 Go on do it and tell em Kiwi and Koala sent you. Staying in Sacramento? So did Koala. Want to know a great place to stay? Well you probably already know what he’s going to tell you based on the headline. But to answer the question, The Hyatt Regency in downtown Sacramento is worthy of your consideration as it is located in the heart of the city’s vibrant downtown, across from the State Capitol and adjacent to the Sacramento Convention Center. First off it’s a very nice Hotel and under rated by most standards. Great comfortable well appointed rooms are just the start. Warmly greeted and made to feel welcome starts things off right. The fact that the parking garage has in and out privileges is great. 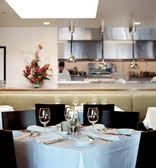 A very good restaurant, Dawson's, with wait staff well informed on their wine list just another plus. If you are like Koala and stayed out late playing with friends and got in without having dinner the bar has a great hamburger and a good wine list to choose something to wash it down with. Ok there is a lot more on the list than just a burger but as the lovely and efficient wait staff lady said ‘you can make a sandwich at home, but not a burger like this’. Who was Koala to argue? The second night Koala made sure he was in early enough for dinner at the restaurant and was not disappointed. The meal was very good and the recommended French wine was a great pairing. A couple of after dinner glasses of wine at the Amourath 1819 bar which serves as the hotel’s main gathering spot, featuring an expansive adjacent patio with fireplaces. With the same lovely ladies for wait staff as the previous evening made the evening delightful with Koala feeling like he got the VIP treatment. Really everyone seemed to be getting the VIP treatment. Thanks for the great service from the Bar / Patio girls (wait staff) and to the Hyatt Regency Sacramento for a great stay. So if you’re going to be staying in Sacramento California give them a try. Koala believes you will like it! Stop by the bar and tell the girls Koala sent you! P.S. Hyatt, charging for Internet is so 90’s, just make it part of your service!